Muharram is a time to commemorate the martyrdom of Imam Hussain, the grandson of Prophet Muhammad, and his companions at the battle of Karbala. The tragedy appeals to Muslims across the world. Hussain's stand against the tyrant, has inspired not just Muslims but non-Muslims too. 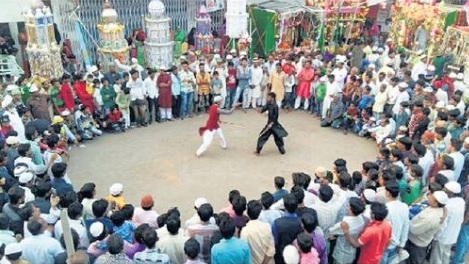 For years, we have documented photographs of traditional Muharram rituals in different parts of India. 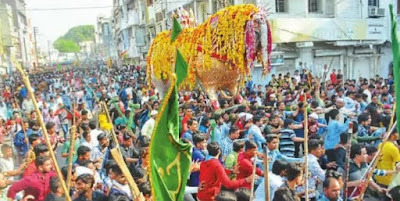 This year too, this blog brings to you photographs of the manner in which Muharram is observed in different cities. 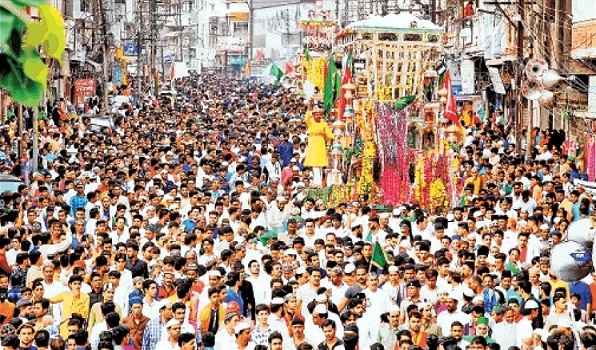 The first photograph is from Indore where the Sarkari Tazia is being taken out amid a sea of devotees. The second photograph is from Dharampuri in Dhar district in tribal belt of Madhya Pradesh. Nearly 100 Tazias are taken out in this small town and immersed in the local Karbala. On the left is the photograph of devotees walking on fire on the eve of Yaum-e-Ashurah, in Mandla district of Madhya Pradesh. On the occasion, there are mourning processions in almost all the cities and towns of India. While Shia mourners beat their chests and carry 'Alam', the Sunnis mostly carry Tazias. 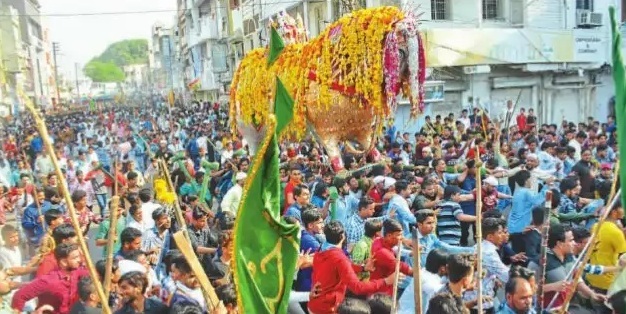 Akhadas are also part of the Muharram processions. The next photo is from Ujjain, a historic town and one of the oldest cities of the world. The other photos include that of a procession in Raipur--the capital of Chhattisgarh. In this photo, you can see the 'alams'. There is also a photograph from Bhopal, where Tazias are lined up, on their way towards the Karbala. The last photo is of an Akhada in Chhatarpur. There is display of self-defence skills. The processions in all regions have slightly distinct flavour, in accordance with the local traditions. Once you move from MP towards Rajasthan or Maharashtra, you can see the difference, clearly.